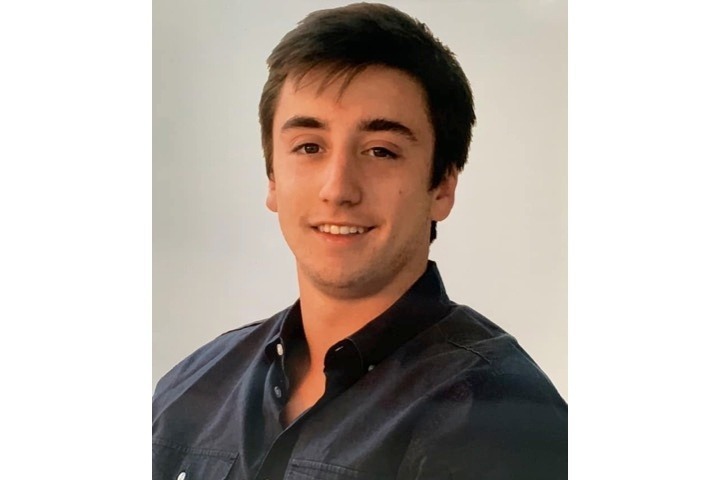 Augustus Gerard Cardello, known to friends as "Gus", passed away unexpectedly on October 12, 2018 in Providence, Rhode Island at the age of 19. A native of Westport, CT, Gus was born on June 6, 1999 in London, England. He was a 2017 graduate of Staples High School, and he was currently enrolled at Providence College. Beloved son of Joseph and Michelle Cardello; brother to Isabella and Christopher; loving grandson of Robert and Denise Murtha and Bobbi and (the late) Joey Cardello; Nephew of Christopher Murtha (Andie), and Aunts Lisa Fiske (Kevin) and Roberta Kemper. Gus is also survived by nine cousins: Devon, Megan, Troy, Kyle, Cammie, Mark, Jennie, Jamie and Brett. Visitation will be held on Friday, October 19, 2018 from 3pm to 8pm at Our Lady of the Assumption Church, 98 Riverside Avenue, Westport, CT 06880. A Mass of Christian Burial will be held at Our Lady of the Assumption Church on Saturday, October 20, 2018 at 12:00 noon. Internment will be private. The family would be most grateful for contributions to the Augustus G. Cardello Memorial Scholarship Fund. When Augustus passed away suddenly on October 12, 2018, our entire world was literally turned upside down. In the moments shortly after losing our son, the boy who meant everything to us, we instantly knew we had to help Augustus’s joyful spirit continue to improve the lives of others. Before reality even set in, we frantically tried to make sense of it all, and with the help of many good friends and family, established the Augustus G. Cardello Scholarship Fund. We sent out the call, and you have all responded generously. Two months have now passed since his death, and although we now realize the pain will never go away, we are also sure that Augustus will always be with us. We are so fortunate to have you in our lives to offer us support and love, but also to support Augustus and how much he cared for others. Those of you who knew Augustus know that his true gift was his ability to seek out those people who might need a little extra love and give that to them in his very funny and subtle ways. We hope that you will remember him in that way and carry that with you always and hopefully we can all give a little of ourselves to those who may need it. In the spirit of Augustus’s generous heart, his memorial scholarship will provide an opportunity to kids that might not otherwise be able to afford Providence College. Augustus was truly at home at PC, and we believe that this is what he would want. Additionally, the fund will provide assistance to graduates of Staples High School that need financial help attending college. The scholarship will be awarded through Staples tuition grants (Augustus’ high school). Because of your generosity, both of these scholarships will continue in perpetuity to be the conduit which allows Augustus to continue to love and support others. To date, we have raised well over $225,000. From the bottom of our hearts, we thank you for supporting what is important to our son Augustus.